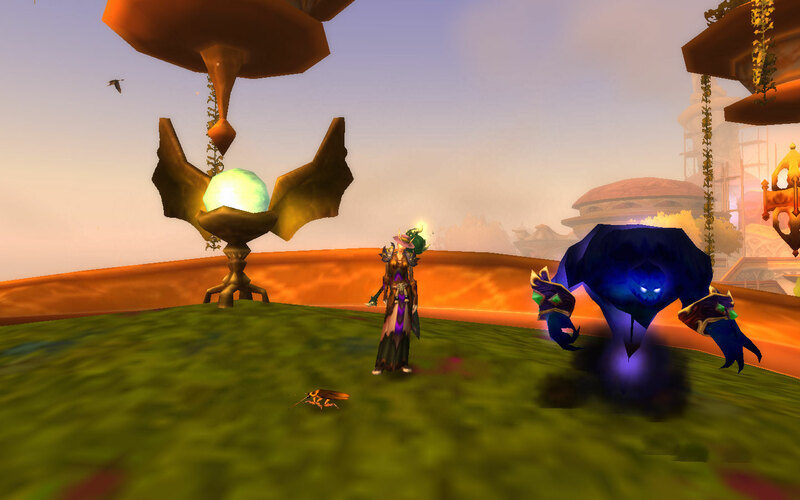 Syp over at Bio Break recently posted about how much he’s enjoying his affliction warlock. 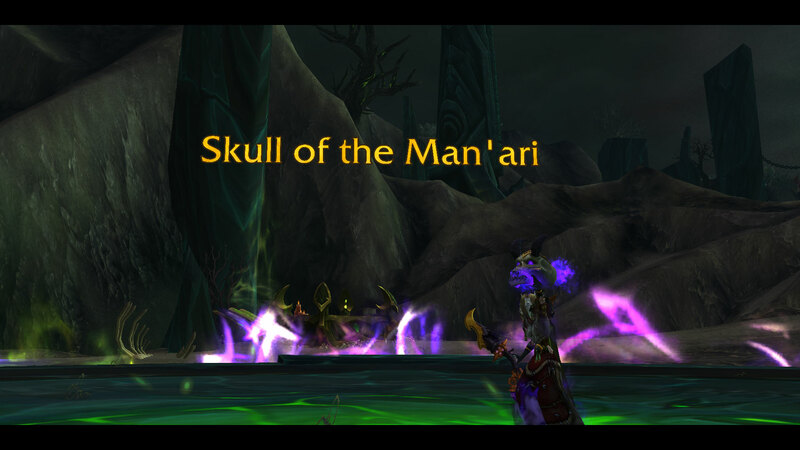 My lock, Madorsa, had always been demonology for leveling and destruction for raids. So far in Legion she had only been demo and had just reached level 103, but the new playstyle just wasn’t grabbing me and she was near the bottom of my list of classes to level. So I figured what the heck, let’s make the change now before her floating skull eats up too much AP. She does have a face, really. Then again, being undead, it’s not really one you want to look upon, so maybe it’s a blessing that it is obscured in this screenshot. True to Syp’s musings, affliction proved to be a lot of fun, albeit a 180 degree difference in playstyle from my main fire mage. Whereas the mage obliterates things within a few seconds, the afflock wants to throw dots on everything in sight and cackle maniacally while their health gets eaten away. There is no such thing as burning something down … killing takes time, but you can kill a lot of things in that time. One of the best things about the spec is that I get to run around with the felhound. That has always been my favourite lock pet and yet somehow, I had never actually gotten around to playing the spec. I think maybe because it wasn’t good in Pandaria when Madorsa was created? I don’t know. Anyway … I’m enjoying it now. I put a couple of levels on her over the weekend. I even went and got Light’s Heart, which I have been mostly ignoring on alts because bleh. 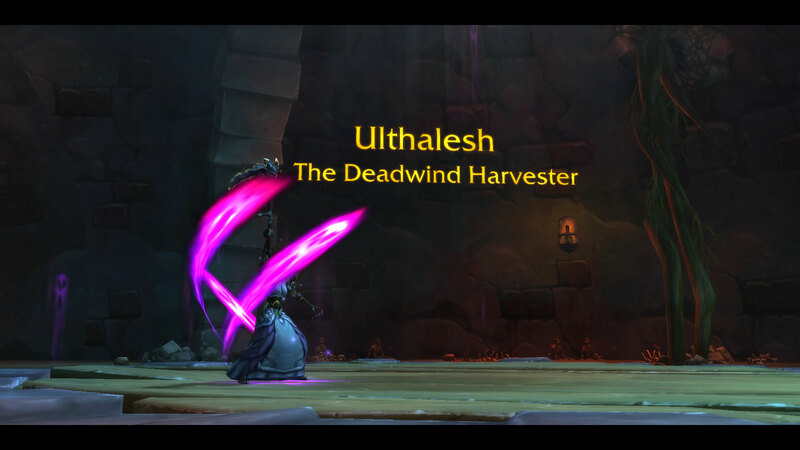 But it does unlock a weapon appearance and I wanted the purple scythe look so I went and did it. 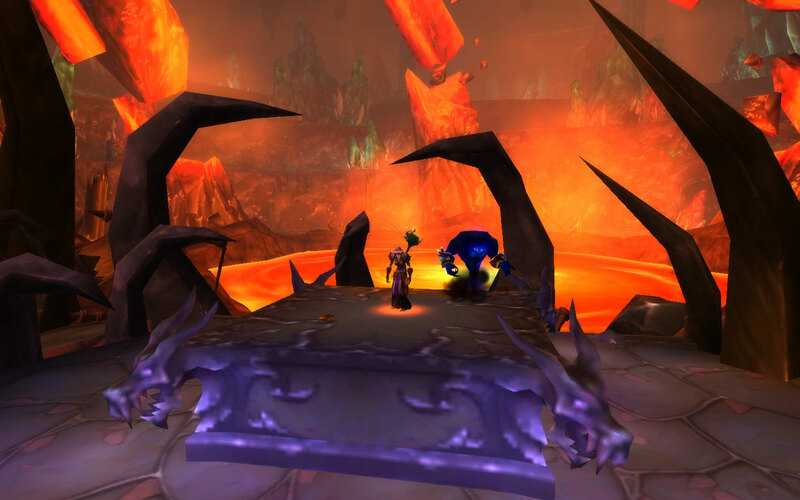 I’m glad I did, too, because I really got a kick out of this demon’s reaction when I brought Light’s Heart back to my class hall. 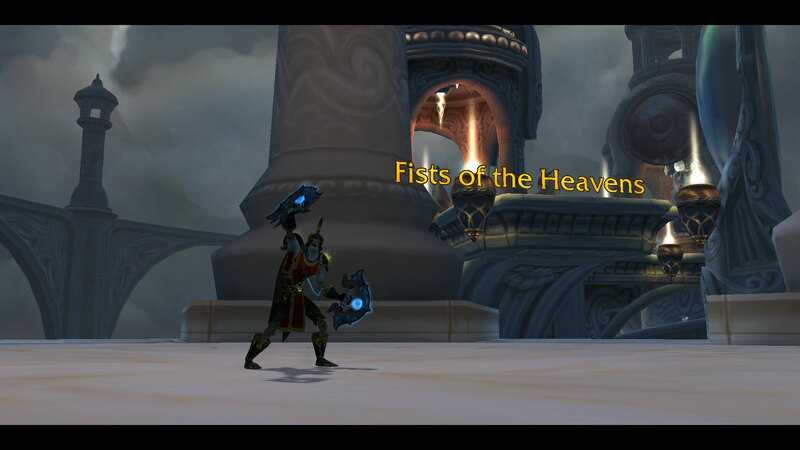 I am making steady progress getting through my artifact weapon quests. I generally have about three hours to play in the evening, which is time enough to do two of them a night and take my time about it. So here are the ones I got over the last two nights. This was the first one I died on. 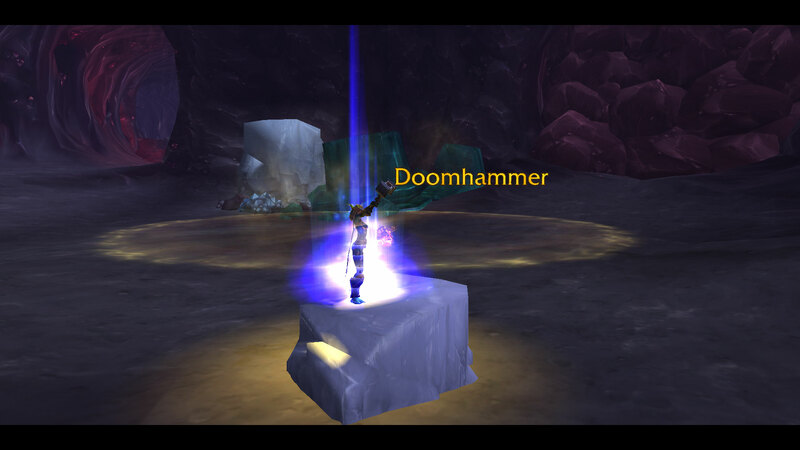 When I ran back, Li Li had pretty much finished off the mobs that did it. Do you know how embarrassing it is to have that tiny little girl panda showing you up, especially when you’re supposed to be a Grand Master? I think I know who I’m choosing as my successor. There’s a pandaren in the cafe at the order hall that sings the most beautiful and haunting melody that I could stand there all day and just listen to him. Sadly though, for whatever reason, the monks’ order hall is not a rest area. I hope this is just a bug and it will be amended in a hotfix so that it will be like the others. Ok, wth? I mean, I used to main (ok fine co-main) DK and played all three specs, so I figured eh, frost DK, how hard can it be eh? Yeah I started on it Wednesday night and let me tell you, if you don’t know what you’re doing, which apparently I did not, you will have a hard time. I must have died a dozen times. I did make it to the final fight eventually, but it was clear that it wasn’t going to happen so I went to bed and spent part of yesterday studying up on my class. I went back in last night with a couple of different talents and at least one ability on my bar that I had overlooked. (control undead is your friend!) I died exactly once. So .. yeah. Gggrrrrrrrrrrrrawr! My Tirion dies, and Thrall goes off (again) to ‘find himself’? Are you kidding me??? 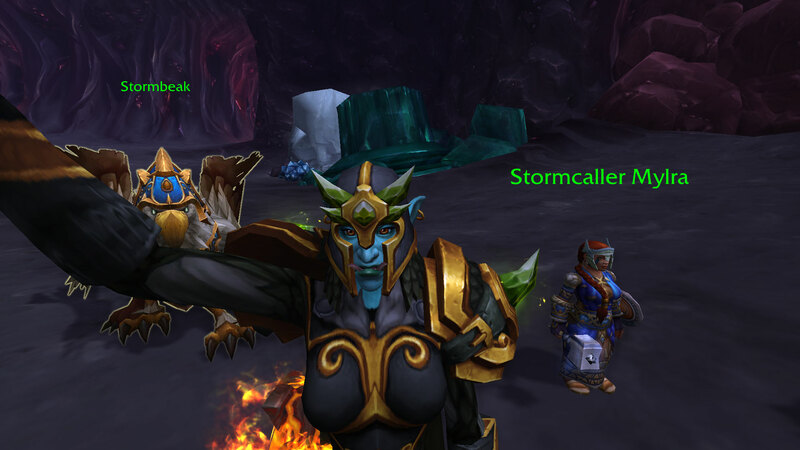 Thrall aside, it was pretty cool seeing all of the other shaman we have quested with in the past. Nobundo, Rehgar, Erunak, etc. And best of all, I got to go back to one of my favourite zones of all time, with one of my very favourite NPCs because come on, who is more badass than Stormcaller Mylra? This questline was the most fun so far, just because I love Deepholm so much. I got Pebble out while I was there so he could see his old home and hang out a bit. There was a lot more to kill for this than some of the other quests but I really enjoyed it. I’m liking enhancement a lot and will probably play her some more. With the Faire around last week, I figured it would be a good idea to get some more leveling done. Saturday afternoon I finished up with Madorsa. That makes 8 classes to level 100. Only druid, monk, and priest to go. Oh. Yeah. You’re probably wondering how I skipped from 6 to 8, eh? Yeah, I boosted Kriann, the dwarf shaman, with the Legion pre-order. I didn’t document it because, well, it’s a boost. I didn’t level her. Well, I did, to 68, but not the rest of the way. So, she counts, but she doesn’t, ya know? In the course of her adventures in Nagrand, Madorsa ran across Luk’hok, a rare elite elekk that drops a mount, the Mottled Meadowstomper. Now, he’s level 100 and she, at the time, is 98. Yes, I know, warlock OP etc etc but I didn’t even bother. I mean really, I have 7 other classes at max level right? Ok, 4 if we’re only talking about the server group that she is on, but still … I trotted Van out there instead. I am totally out of practice with him, but I remembered enough to kill the thing without getting myself killed. So, new and totally unexpected mount! Aside from all that, I spent yesterday working on my seasonal character in D3 since the season ends … crap, Friday. I don’t think I will be completing chapter 4. First off, in order to even get into my set dungeon, I had to dink around with finding the crimson beta drivers for my ‘legacy’ AMD video card so that the game won’t crash if I try to visit the Desolate Sands. Yeah. Next time I’m buying Nvidia. I might be able to get to Greater Rift level 20 and kill Siegebreaker Assault Beast on T4 by then, but I have to do some research on the set dungeon. That might be too much. Still, for a casual player, I’m happy just to have completed my set. I just need the pants still to have all 7 pieces. Remind me next season to start running rifts at 60 or so, so that I have a collection of greater shards ready for me when I hit 70. I’m behind now because I have to run 2 or 3 neph rifts to get a shard in between each greater rift. Gah. So, I’ve won with a warlock deck the past couple of days in Hearthstone. I don’t play any of the so-called zoo decks or what have you. I just toss some demons and other stuff in. I got Twisting Nether in a pack recently and have had a lot of fun erasing the board with it. Anyhow, since I won with the lock deck, I took Madorsa out to play. However, since she’s already done all of the LFRs at least once, and I had been in LFR over the weekend with Paddey, I decided to find something else for her to do … namely, collect enchanting recipes that she is missing. Some of this involves buying recipes from vendors using mats as the currency. So of course, I needed more Heavenly Shards and figured the best way to get some would be dungeons. So Madorsa went to Stonecore and did what any warlock with any sense would do … killed almost everyone and took over the place. Some of it also involves bind on pickup recipes dropped by bosses. Kael’thas in Magisters’ Terrace drops like three different ones. So of course, she headed there as well. And on her first ever run of Terrace, she got the Orb of the Sin’dorei. She was pretty disgusted with me for actually making her use it, though. 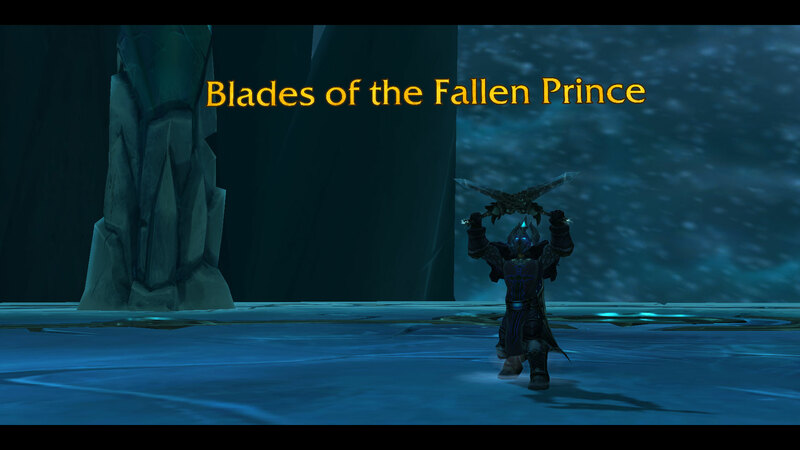 So yeah, I’m having a lot of fun on my non-raid days just dinking around on all my alts.